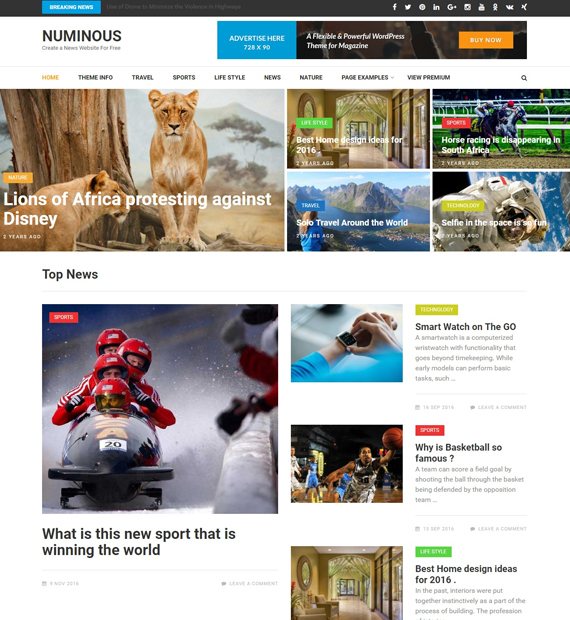 Numinous is a free magazine style WordPress theme with free one click demo import feature. The theme is suitable for food, travel, technology-related newspaper, or magazine websites of any niche. This Google Adsense Optimized theme comes with advanced features like top news section, a full-width page layout, and a breaking news ticker on the header. You can also engage your website visitors with related posts at the end of each post.